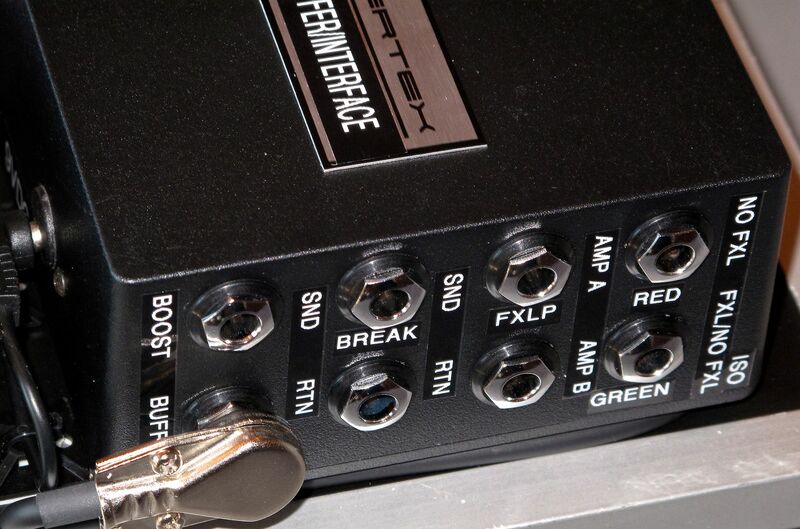 Vertex tri-buffer (single input and dual output buffer) with polarity switch and isolation transformer for Amp B. 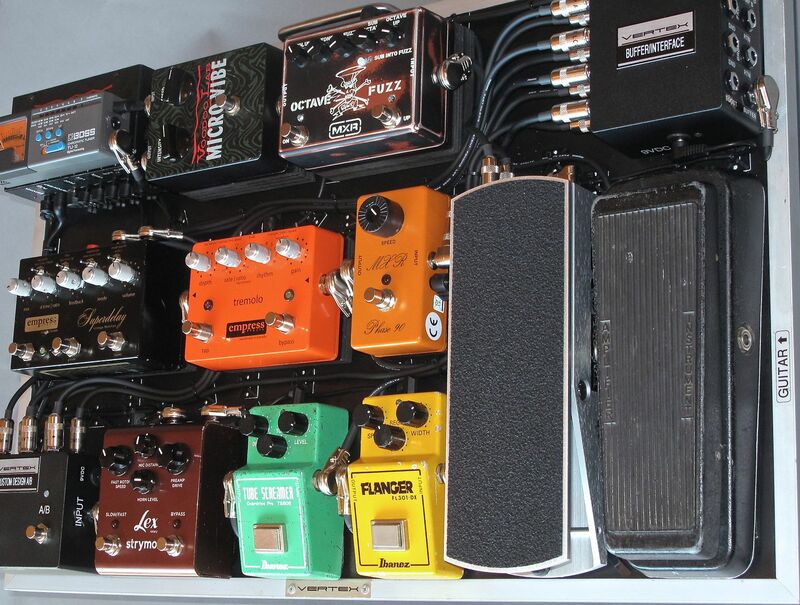 There is also a effects break-out to add in pedals off of the pedalboard before the distortion pedals, an effects loop going to a Custom Suhr head, and a through to the A/B box to engage the boost on the Suhr amp. 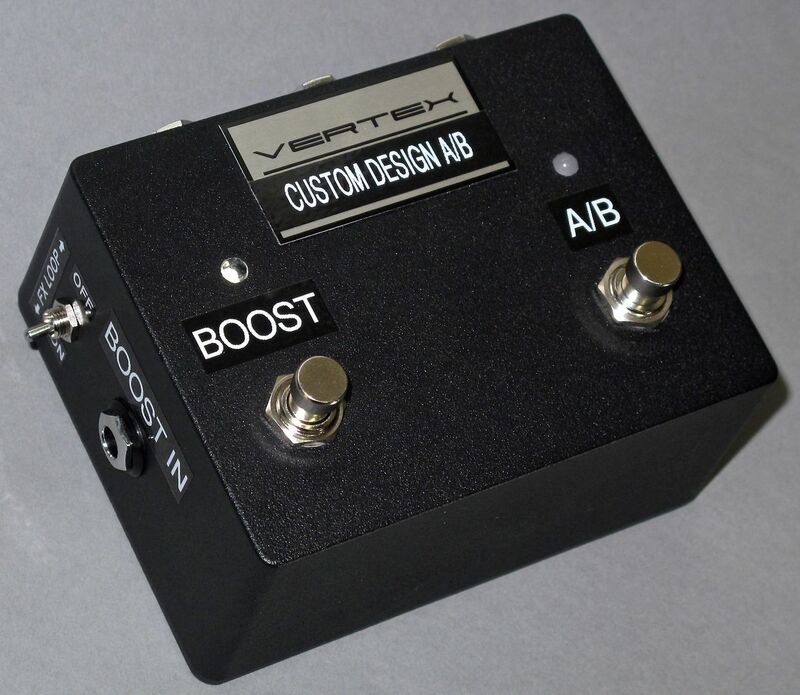 This Custom A/B allows switching between two different amplifiers (AMP A and AMP B). 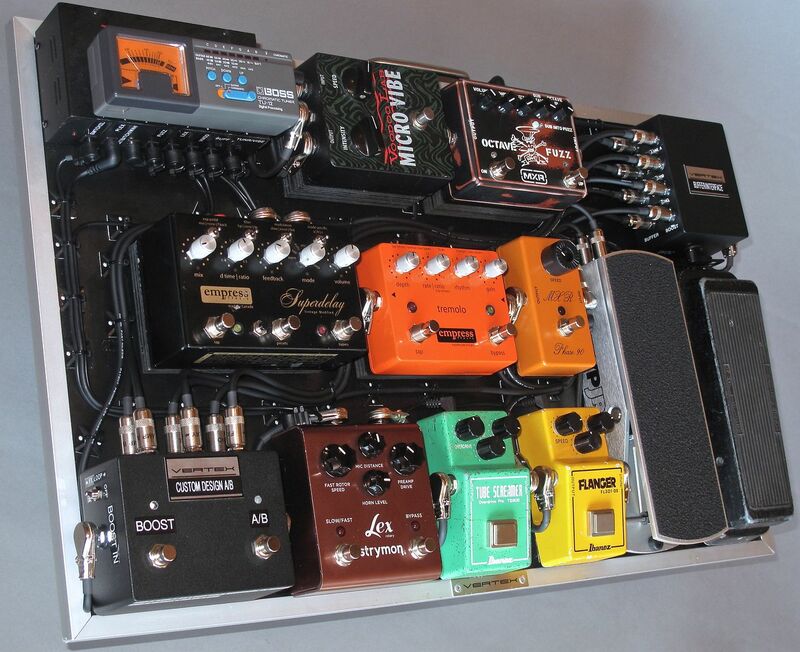 The output to AMP A is designed to pair with an overdriven amp equipped with an effects loop (where some pedals would run in front of the amp, while other pedals would run in the effects loop), and the output to AMP B is designed to go to a clean amplifier without an effects loop where all of the pedals would be in series in front of the amp. 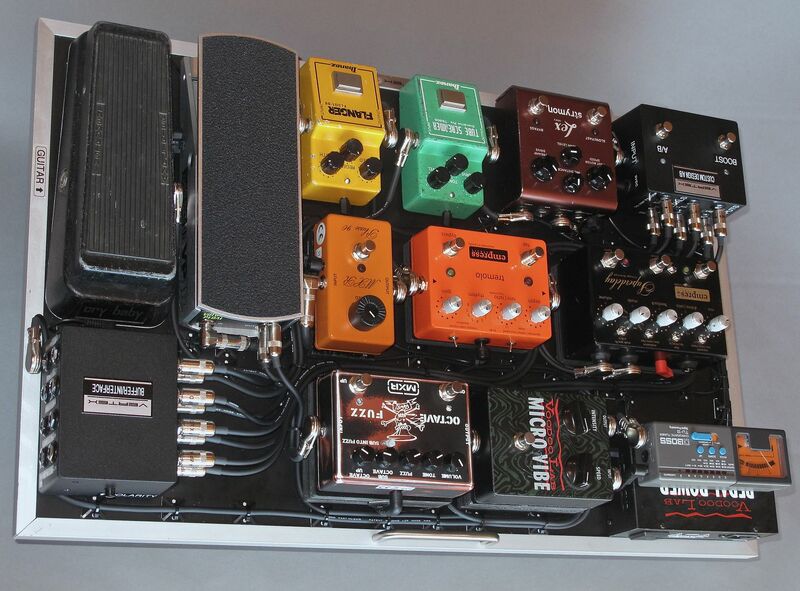 The unique part of this unit is that it allows the same effects to be used through both amps and separate the pedals desired for the effects loop for amplifiers that contain them. 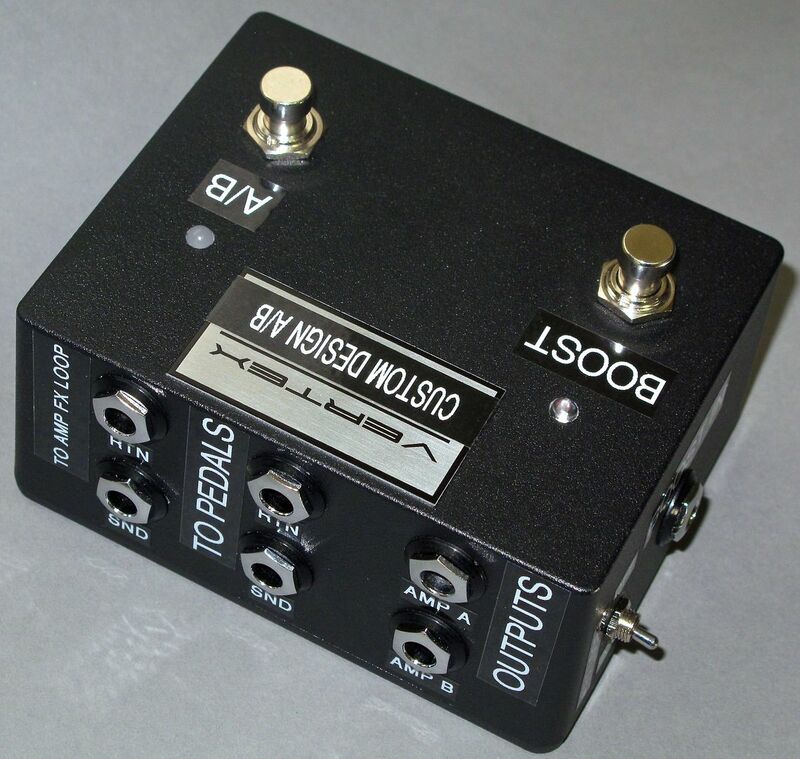 An additional feature of this A/B is that if there were an instance where the two amplifiers (Amp A and B) were both without effects loops, there is a toggle on the side of the box to disable the amp effects loop function of AMP A and have all the pedals in series, in front of AMP A and B.